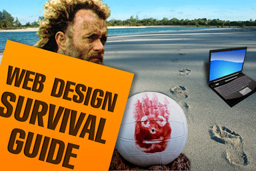 If you were to throw a Web Designer onto a deserted island with nothing but a laptop with no software and a wireless internet connection, could they survive? More importantly, could they still build your website? Well, some of the more experienced web designers out there are probably resourceful enough to build you a great website with nothing but a laptop and an internet connection. As for staying alive while stranded on the island, that’s another question. Most of us Web designers survive on pizza and Chinese take away, which I don’t think will be in plentiful supply on the island! A lot of Web Designers these days are very reliant on specific software (like Adobe Creative Suite, Dreamweaver, Photoshop etc) and without it they just don’t know where to start. As Web Designers it’s important to be adaptable so that if one day you do end up stranded alone on a deserted island (and it could happen), you will still be able to create great websites! For those Web Designers that don’t yet have the budget for expensive design software, this survival guide should also help you design and build a website using totally free web design tools. So how would you do it? Stranded on a deserted island, alone, no money, no design software, just a laptop, a wireless internet connection, the sand under your feet and the wind in your hair. Let’s assume that your client is expecting a full corporate website design with a blog and CMS (Content Management System) and that you are stranded with a laptop running Windows XP. If it was me out there on that island, this is how I’d do it. I would build the website in WordPress as the client needs a blog and CMS. That way all I need to do is create a WordPress Theme. It’s a quick, simple and effective way to satisfy the client’s brief. 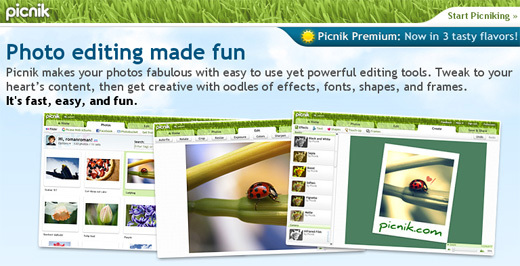 I would design the homepage and content page mock-ups using a free image editor possibly along with some free stock images. I would download and install WordPress. You could install WordPress directly onto your hosting server and work on the live site but I prefer to create a development version on my localhost as it allows for a faster build and is generally better practice. To setup your localhost you can install Wampserver which will equip you with PHP, Apache and MySQL. Once I have finished working on my website I will move the files onto the live server using a free FTP client. (I’ll assume that you or your client already have a web host, although there are free web hosts too). To build my website in WordPress I basically just need to create a WordPress theme. I could either use a WordPress Theme Framework or simply start with a very basic free theme and modify it. To build my theme I will need a free text editor to edit the code. I will of course need a browser to view my website. To ensure that my website is cross browser compatible I would download and install the most common web browsers Internet Explorer, Firefox and Safari. You can even test out your website in ie6 if you’re feeling game. Here are some more cross browser compatibility resources to try out if you really want to get serious. I have tested and debugged my site and it’s looking great. Now all I need to do is FTP the files onto the live server and I’m done! Hopefully the client will be happy with their new website. I’d use the client’s payment to rent a helicopter to fly me off the island. I might also order some pizza for the trip home, I’m starving! So how would you build a website out of nothing if you were stranded on a deserted island? And how would you get off the island? These tools are really useful man!!! 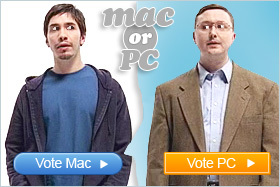 Question, what if it’s a mac? Thanks for posting. The featured resources are really useful. Right on man! This right here is basically why I made my blog in the first place. Web programmers need to learn how to program! Thnx, man. I’m using an old mac and I’m happy. MAMP, GIMP, basic text editor. That’s all. Gimp (raster), Inkscape (vector), stock.xchng (photos), and for a deeper, more complex CMS I’d head over to Concrete5; they host, too. Need to source content, hit a very reliable site like Textbroker and set your rate, you’ll get the quality articles you pay for. Paypal, Skype, timezone manager, good to go! Interesting website. Very helpful, great share. Thanks for sharing this nice post.